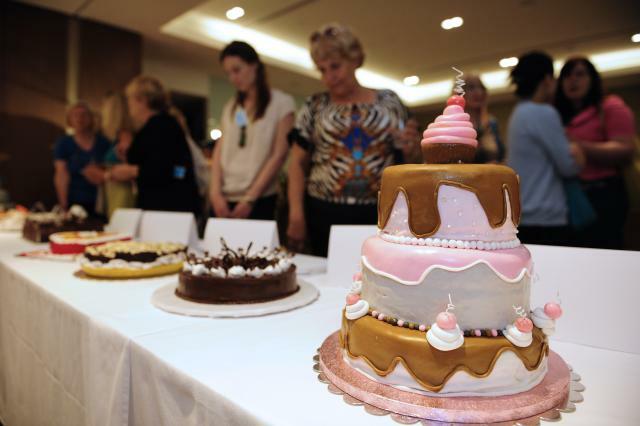 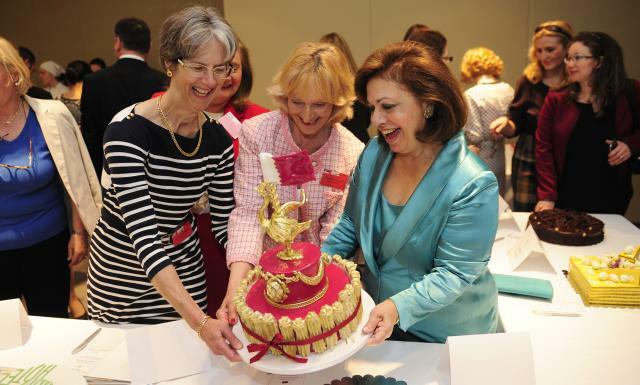 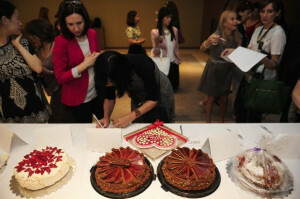 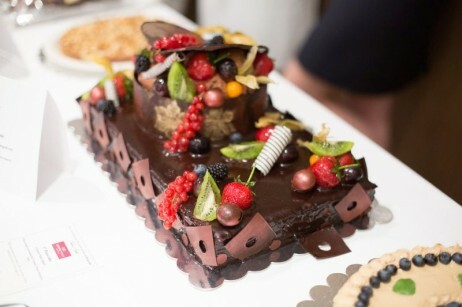 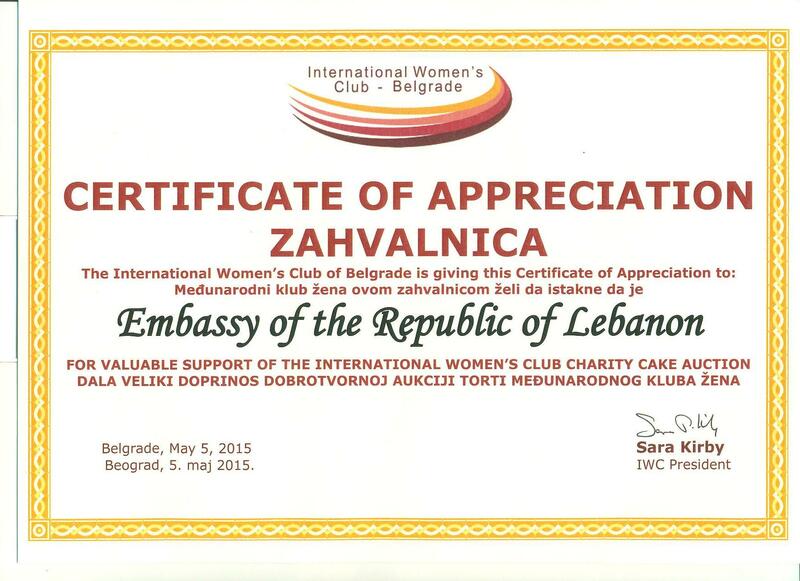 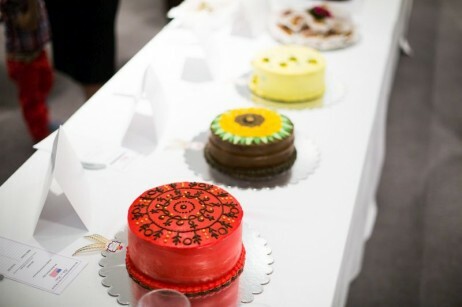 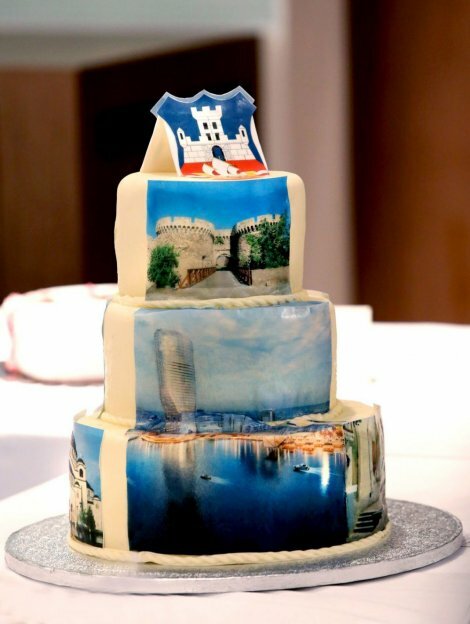 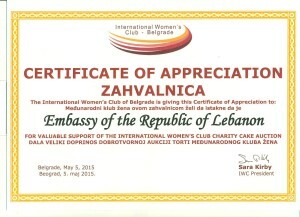 The Lebanese Embassy in Belgrade participated in the 6th silent auction of cakes, which was organized by the International Women’s Club on Tuesday, May 5, 2015 and hosted by the Crown Plaza Belgrade Hotel, and donated a cake for the auction made by the spouse of the Ambassador of Lebanon H.E. 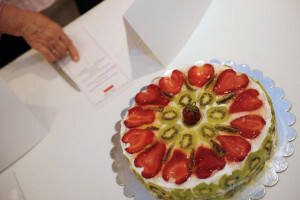 Dr. Toufic JABER. 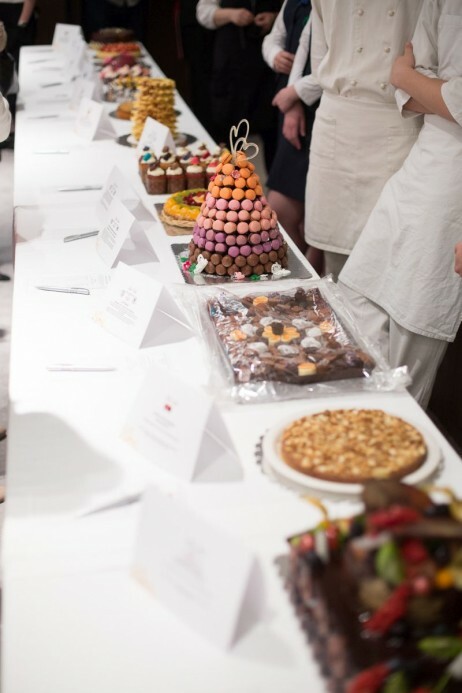 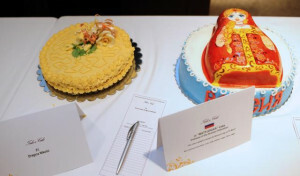 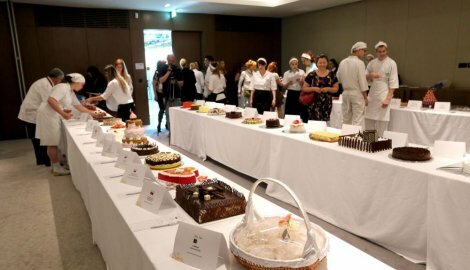 Royalties, members of the diplomatic corps and IWC members and numerous guests bid on their favorite cakes and bought pastries, sweets and raffle tickets. 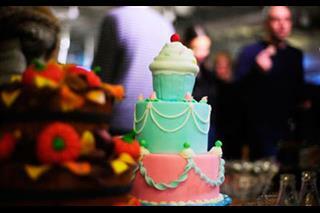 All proceeds from this fundraising event were donated to charities.